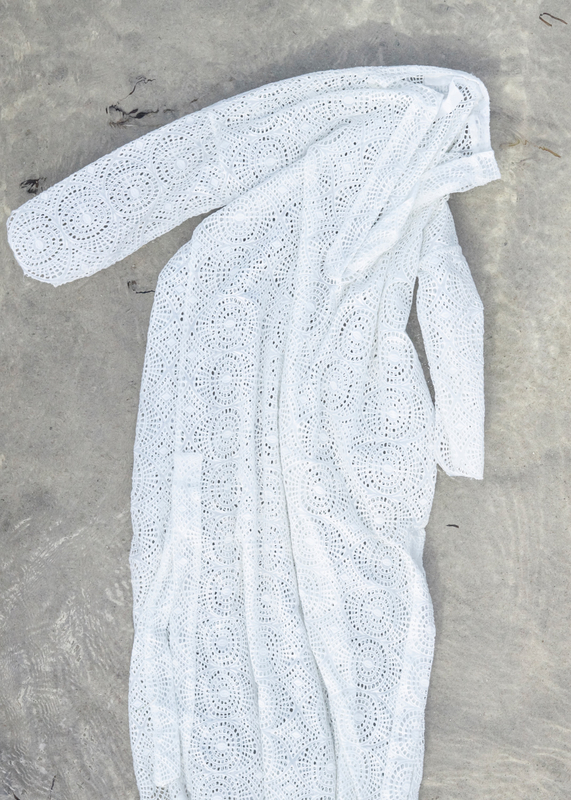 Classic kaftan dressed in romantic broderie anglaise, adding a luxurious touch to an otherwise casual and comfortable style. Roomy a-shape fit with side slits and a deep v-neck. 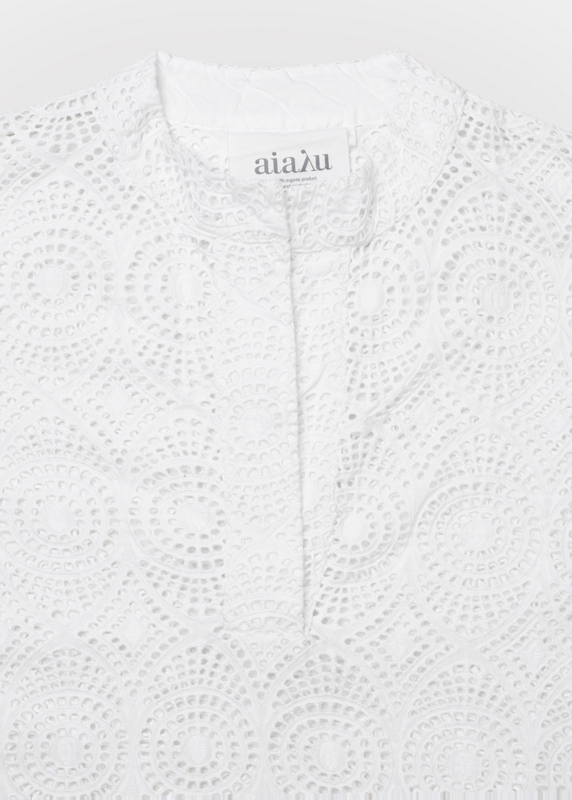 The kaftan anglaise is the ultimate romantic summer style, easy to wear and style regardless of the occasion. Style it with your favourite patinated Birkenstocks for a chic boho look, or dress it up with heels – perfect for the wedding season. 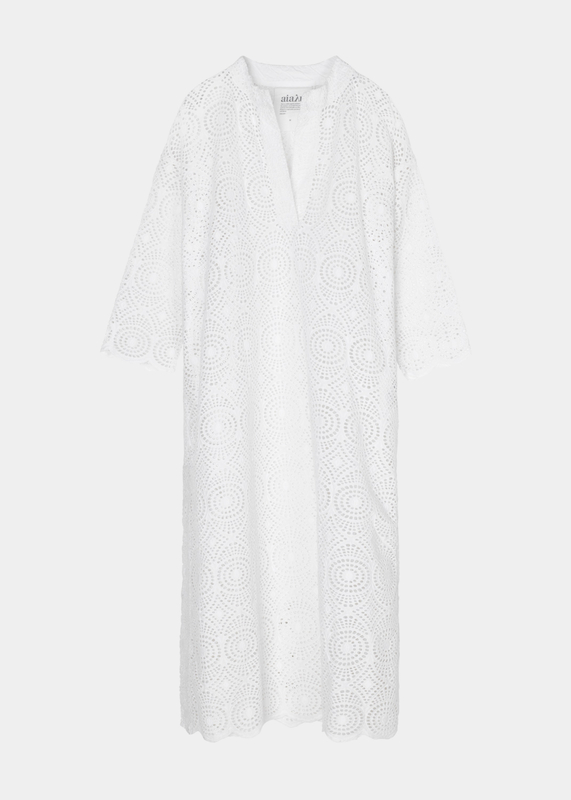 The kaftan is oversize. We advise you to size down 1-2 sizes for a more slim fit.